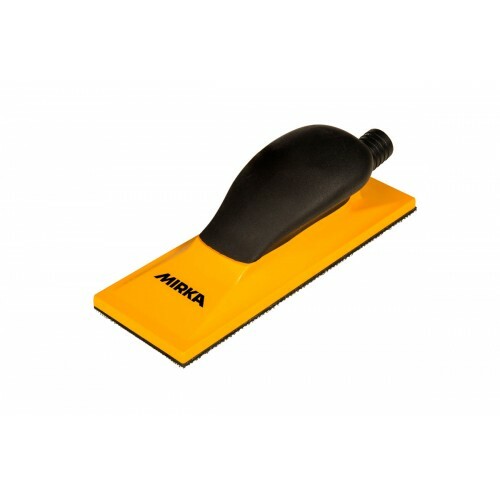 This yellow/black hand sanding block has an ergonomic shape with low profile. The performance is excellent in combination with MirkaÕs net sanding strips. 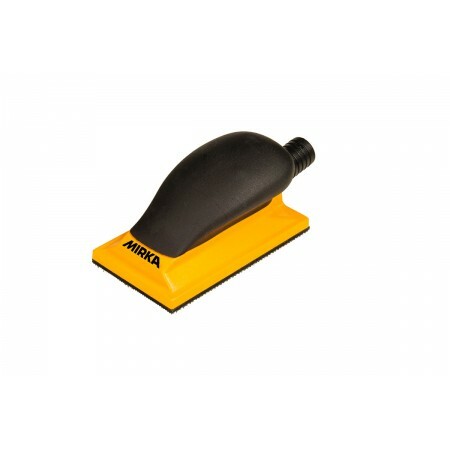 The hand sanding block has an optimised hardness of the backing material. To ensure dust-free sanding it simply needs to be connected by hose to a dust extraction system. 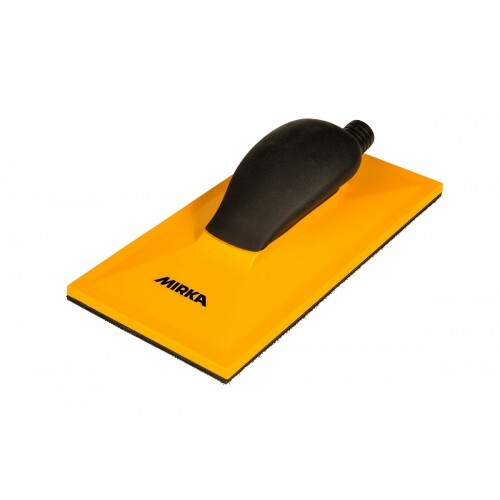 This hand block is designed for general purposes and it is well suited for the needs of ART body shops.